I’m a huge fan of magnets (seriously, you should see my refrigerator!) 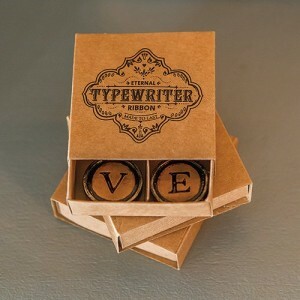 and I also love vintage typewriters, so today’s fun wedding favor is a new personal favorite. Love is the word of the day at a wedding – so why not send your guests home with a great wedding favor that they can display on their fridge or other magnetic surface? These vintage typewriter key magnets that spell out “L-O-V-E” are practically perfect in every way! First, they’re “vintage” which is such a fun theme to use a wedding. Secondly, they’re a practical wedding favor – something your guests can use over and over again. These wedding favors won’t break the bank either, and that’s always a plus in our book. You can find these vintage typewriter key magnets here.